This year the event will be held in Leeds, UK at Horizon. 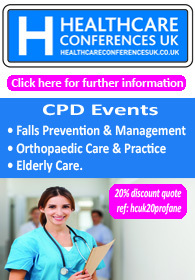 The meeting will be of benefit to all healthcare professionals involved in falls and mobility medicine, geriatric medicine and healthcare of older people. Abstracts are encouraged and will be accepted as platforms or posters to be displayed at the meeting. Submission deadline: 1st July 2018, 5 p.m.
Email your abstract to scientificofficer@bgs.org.uk using the format above. This year the event will be held in Birmingham, UK. This publication looks deeper into the issues surrounding slip resistance of floor finishes and expands on earlier findings. The results of this study with previous findings confirm that floor surface finishes require different levels of surface coarseness for different types of environmental conditions to effectively manage slippery walking environments. 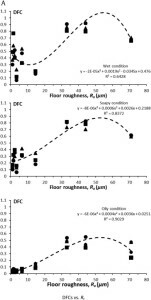 Collected data on operative ranges of floor surface roughness seem to be a valuable tool to develop practical design information and standards for floor surface finishes to efficiently prevent pedestrian fall incidents. It has come to our attention that some people are spreading the wrong information that ProFaNE.co is inactive and has been replaced by ProFouND. This is not true. ProFaNE.co is only affiliated with ProFouND by nature of similar interest in falls prevention and that we support each others work as completely separate and independent entities. ProFaNE.co is still 100% active and your subscriptions pay for the unique content available on this site and to maintain the server and software to keep the site running. Please help us stop the misleading rumours that are being propagated. Your support is very much appreciated. If you work in falls prevention, we want to hear from you! 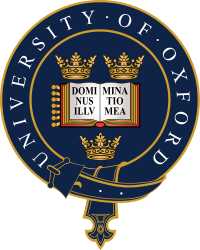 The University of Oxford are conducting a survey to update recommendations for conducting clinical trials on falls prevention in older people. The survey will take approximately 15 minutes to complete. 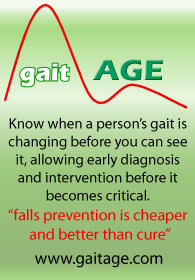 The original recommendations are the Common Outcome Data Set for Fall Injury Prevention Trials developed by the ProFaNE (Prevention of Falls Network Europe) group. If you have any questions, please email bethan.copsey@csm.ox.ac.uk. Protect patients from injury if a fall occurs. Overview of recent research papers looking at conditions, such as Parkinson's, stroke and multiple sclerosis, which are linked to falling. This research identifies different environment-related risk factors for falls among people with Parkinson's, and has found that tripping is a higher risk factor for outdoor falls and indoor falls are associated with lower extremity weakness and internal sense of sudden loss of balance. The Prevention of Falls Network for Dissemination (ProFouND) is an EC funded initiative dedicated to bring about the dissemination and implementation of best practice in falls prevention across Europe. ProFouND comprises 21 partners from 12 countries, with associate members from a further 10 countries. ProFouND aims to influence policy and to increase awareness of falls and innovative prevention programmes amongst health and social care authorities, the commercial sector, NGOs and the general public. ProFouND’s aim is to increase the delivery of evidence based practice in falls prevention and therefore reduce the numbers of falls and injurious falls experienced by older adults across Europe. A core aspect of our work includes ICT interventions in relation to fall prediction, detection and prevention and as part of ProFouND we have created an online innovation factory (http://profound.eu.com/forums/forum/innovation-factory/), where we will bring together health and social care professionals, academics, engineers and industry partners to create new technological solutions to promote falls prevention, detection and monitoring. As part of this work we would like to provide ‘real-life’ case studies on the use of existing technologies, starting with the U.K. and then rolling out across Europe.